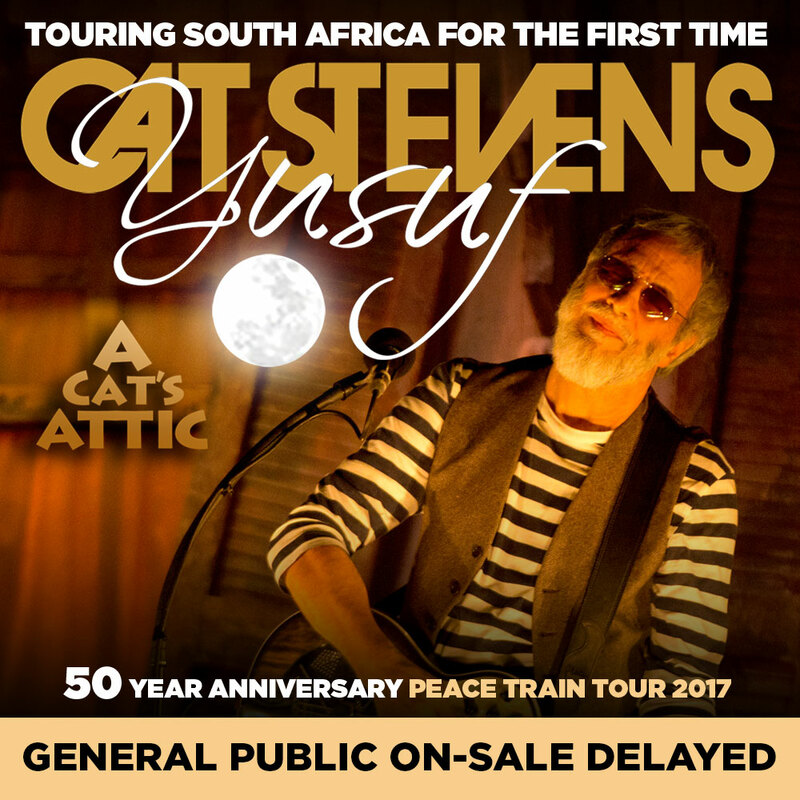 Due to unforeseen production scheduling and logistic issues, the planned on-sale of all tickets to Yusuf / Cat Stevens’ November concerts in Cape Town, Johannesburg and Durban will be temporarily delayed. The General Public on-sale due to begin tomorrow, Thursday, July 27 at 9:00am will now be rescheduled. We appreciate the enormous level of local anticipation and support shown by South African fans in response to the November series of concerts and are working as quickly as possible to confirm the new on-sale date and time. Updates on the rescheduling of the General Public on-sale date and time will be made available over the coming days via TEG Dainty, Showtime and Computicket.